It seems SDK introduce changes like "Tello State commands sends a different data string" . Maybe this changes affect third party Tello software apps ? Anyone tested aTelloPilot with new firmware ? This is related to the SDK. As far as I know aTelloPilot doesn't use the SDK but instead hacked the . @bluejune I won't fluff anything this round. Straight to the point, I am glad for the updates, but is there any improvements that can be made on the WiFi signal? I know physical hardware has it's limitations, but if I could honestly say software is not my issue I could then justify getting range extender. WiFi signal is not dependent on apps but It's your device (phone) dependent..
You had better get WiFi extender for long range..
Talk to him right here. The person who wrote in the post above yours is the dev. Write the 2 big problems in this thread. Here is another request which would be great for me : Add possibility to use RC controller (like flysky FS-i6) plugged on otg. i urge there must be a controller ..not like Bluetooth thats sluggish waste of money. please somebody help that how to connect flysky contrller . Cool. I wasn't aware that these are compatible with USB controllers, and also didn't know the price tag. I would be interested to see how it compares to the Flypad in terms of precision. Hi, yes flypad seems to be great too. 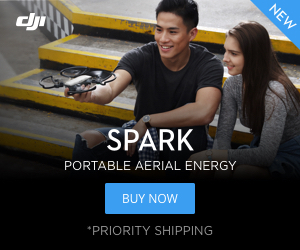 The advantage of flysky or jumper is that you can use it with several drones (I don't know for flypad). I became a "tiny whoop" addict and have few ones now. I don't need to have a controller for each one. Flypad is a one-trick-pony. Only good for Parrot drones, and a few apps going the extra mile to support it. I have flown my Tello with the Flypad and another App. It is great for controlling the Tello, but causes video problems. I have ordered a WIFI Extender that I hope will solve the video problems. One thing to consider is general RC controlller is not centered throttle stick unlike other controllers. BTW, aTelloPilot has a button mapping feature so you can remap them freely. I can't understand mapping is not correct. Thank you for your reply. I don't say that the mapping is not correct because of your application, but because of the flysky mapping which is special, not like generic android gamepad. I learnt in an other thread that android generic gamepad is using X, Y, Z and RZ axis. The flysky (and maybe other RC controler) has the yaw assigned to the RY axis. If i am not wrong, aTelloPilots do nothing of that (it is not a reproach at all, your app is great). For me, the best solution for controller configuration is to ask to the user to move every stick and assign it to the axis the value has changed (Like Fpvfreerider, Picasim, or FPVTello but the RY axis is not yet managed in the current version). Sorry for my bad english, have a good day. I had a chance to check a USB dongle with general RC controllers. It has different axis mapping than other USB controllers. And that, there are no buttons to be mapped. I think the big problem with general RC controllers is "not centered throttle stick"
Thank you ! Yes, i dont know how difficult it would be to control tello without automatic centered throttle stick. But with other drone, i have to find stabilized drone throttle stick position too, i presume it could be a little similar. I would have to center throttle stick when take off and adjust position then. I fly with a Spektrum DX6e, it has the option to use a centered throttle stick. I also fly a DJI Phantom 2 that has a centered throttle stick. It would be great if I could fly my Tello with one of these. I just paid and downloaded the app on my two cellphones, a sony xperia XA1 plus and a Samsung J7 (2016). I got the app to work and did some test flights. I did a screen capture... and compared it to the youtube tutorial of bluejune and also the one on github. pls. check the image below, and as you can see, there's no face track. as you can see, there is no face track icon here and i cant find any settings to activate. did i miss some settings? or is my cellphone not compatible? will appreciate helpful comments pls. pardon if I didnt have much time combing thru the 34 pages of posts. I'll also give my feedback on the test flights after I do more tests outdoors.